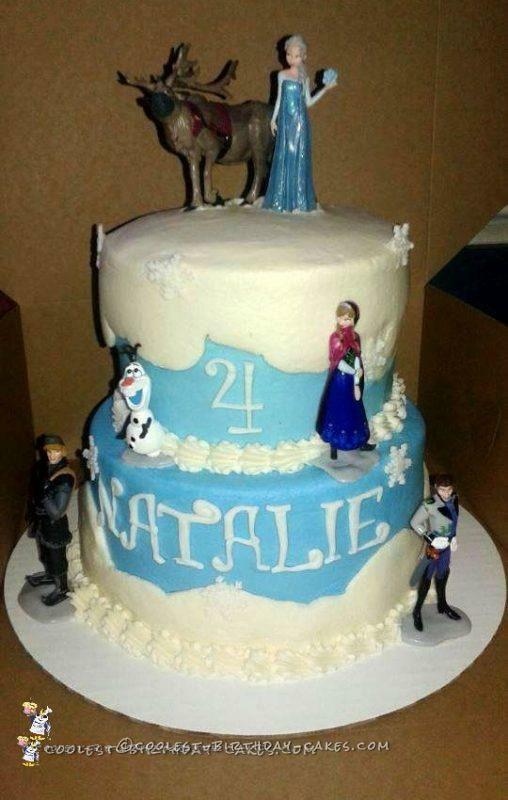 Disney Frozen birthday cakes are in high demand. You may have already found yourself at the receiving end of pleas for a cake featuring one or more of the popular characters. Who can resist the wonder of Elsa, Anna, Olaf, Sven or any of the other memorable Frozen cast? 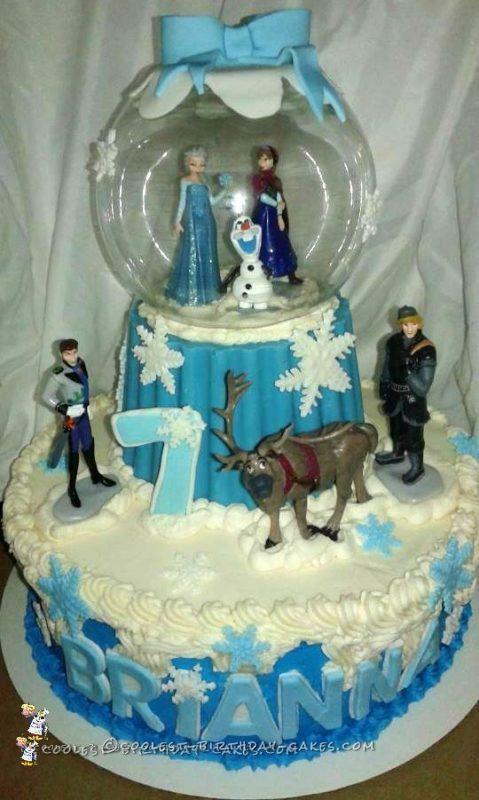 It’s no wonder children want to have their birthday parties built around a Frozen theme. Easy, right? Blue napkins and punch, snowflakes hanging overhead and rock candy centerpieces, marshmallow snowman treats, and winter themed princess games, royal crafts and… CAKE! What to do about the cake? Well, you can either hire someone or make it yourself. 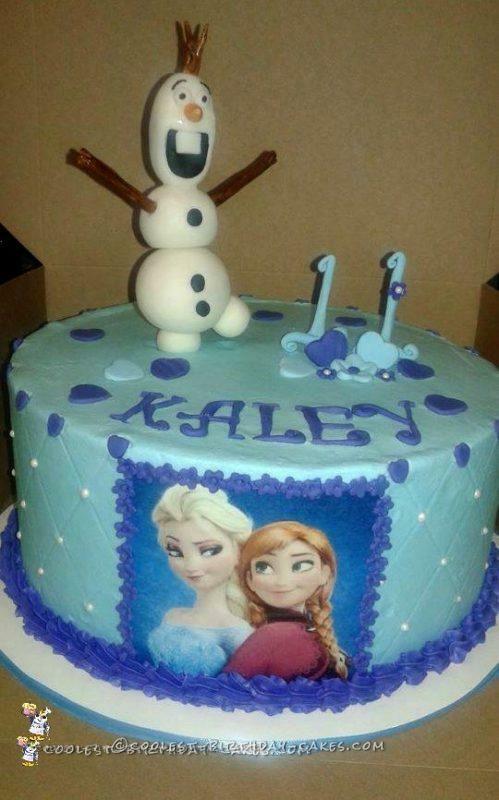 Kathy from PA regularly makes Frozen cakes for birthday parties. Here are just a few to inspire you. 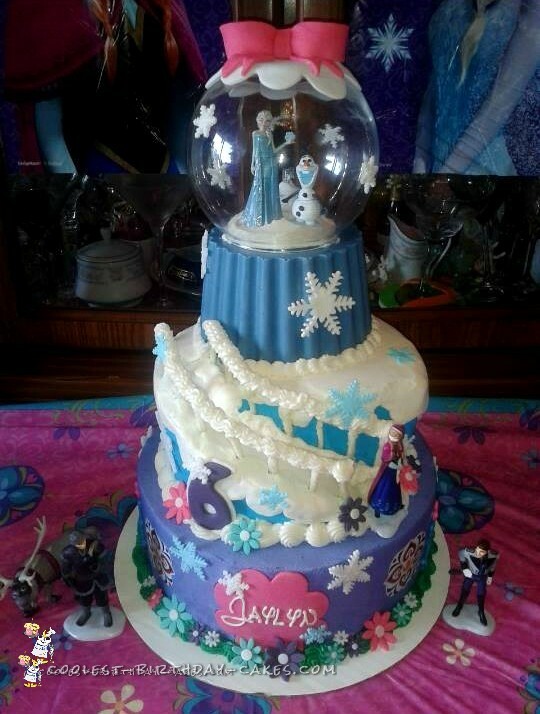 A 3 tier 6th birthday Frozen cake topped with a snow globe featuring Elsa and Olaf. 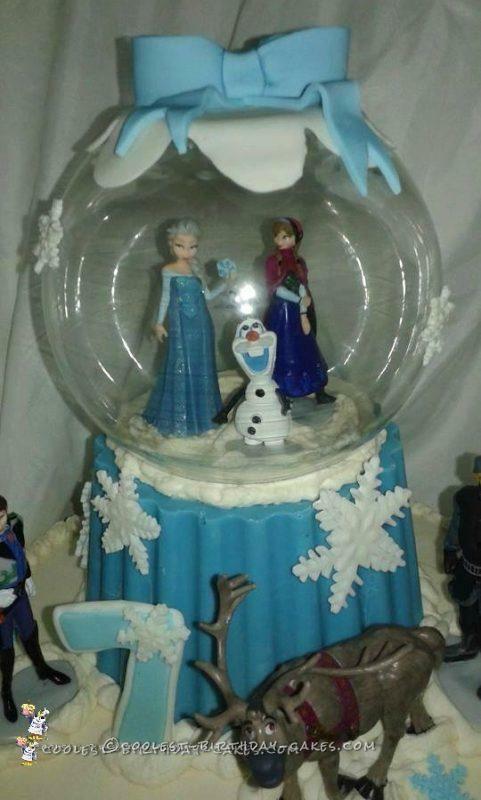 A 2 tier 7th birthday Frozen cake topped with a snow globe featuring Anna, Elsa and Olaf. 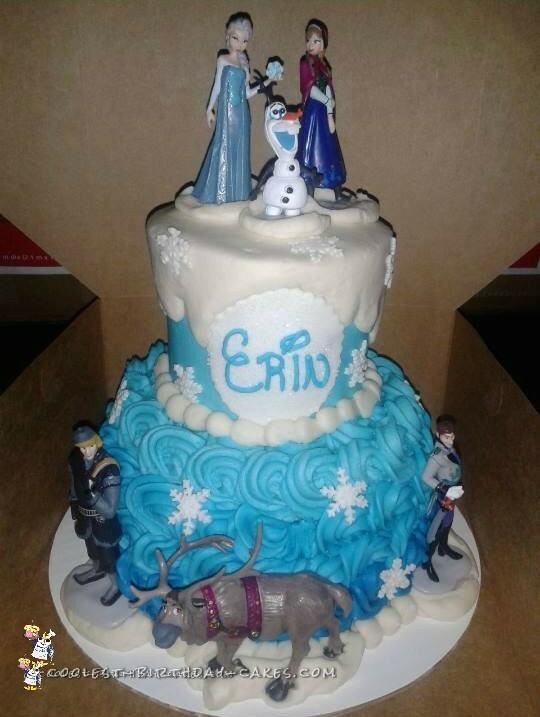 Olaf tops this 11th birthday frozen cake with hearts and quilting details along with a fondant printed Anna and Elsa image. 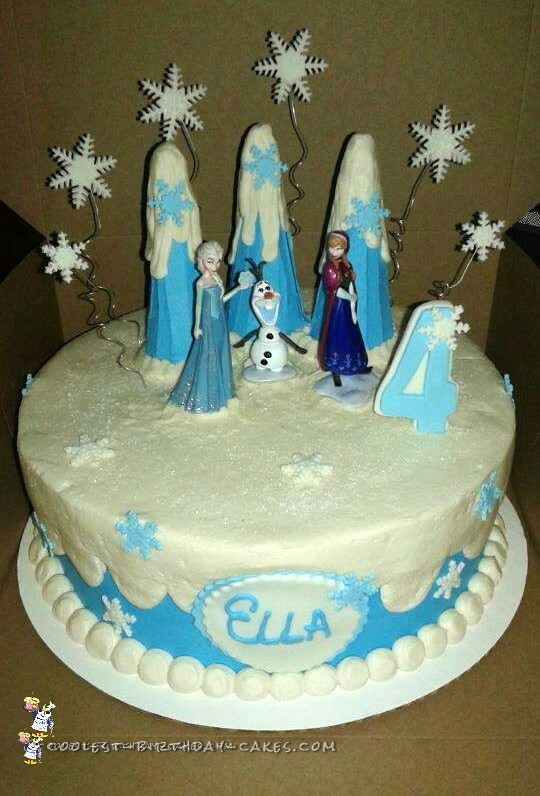 This 4th birthday Frozen cake features the most memorable characters atop two snow-capped tiers. 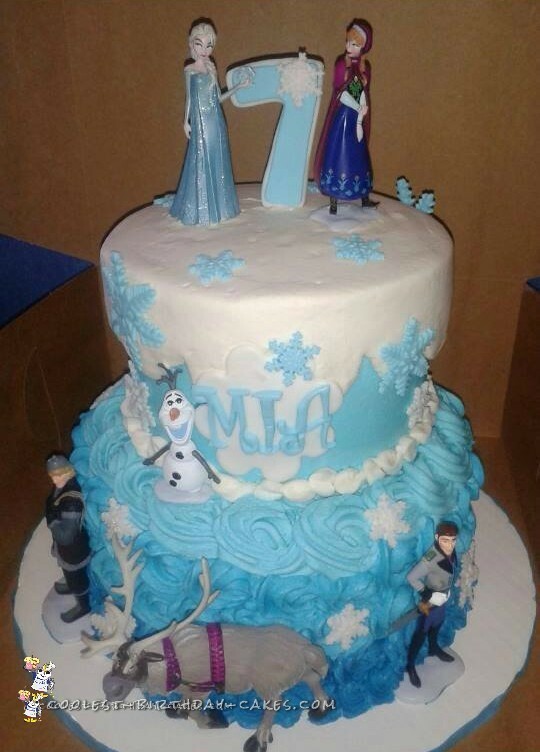 A sweet Frozen cake covered in snowflakes and topped with ice covered trees surrounding Anna, Elsa and Olaf. 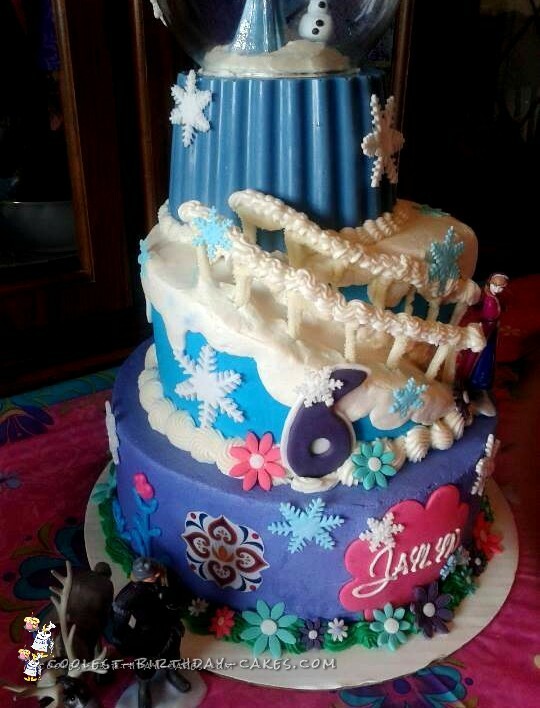 A fun two tier cake featuring the popular Frozen characters with a pretty swirled graduated blue icing design on the bottom tier.